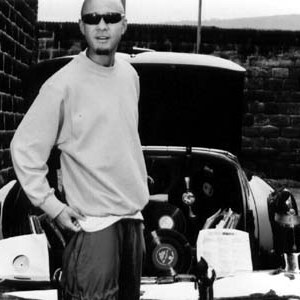 Nightmares on Wax is DJ and musician George Evelyn, also known as DJ Ease (Experimental Audio Sample Expert), from Leeds, United Kingdom. The musical style is a combination of electronic sounds and hip hop beats, often regarded as "chillout". Nightmares On Wax's music is released on Warp Records. Initially working with Kevin Harper a.k.a Boy Wonder their first release was the massive underground hit 'Dextrous' which sampled the as yet unknown A Guy Called Gerald's 'Voodoo Ray' on their own Poverty Records label.